“Oktoberfest” is here. Football, Baseball, Basketball and Hockey. So many games, so little time. For true sports fans, this is one of the best times of the year. It’s the time of year when all four major “food” groups — football, baseball, basketball and hockey, are played at the same time. Football is in full swing, with the NFL leading the way and the NCAA men running right behind. Then we have “Baseball in October.” The ALCS and NLCS are ongoing (and we’re all pulling for the Cubs, right?) And the NHL is underway and the NBA is on the way. So for sports junkies, this time of year is near next to nirvana. So keep up with the stats and the scores and the highlights and the players under the bright lights. And stay up. That’s right — stay up. There are so many games on that run way past my bed time, so it’s tough for us old heads to manage. Tonight we have Sunday Night Football AND the Mets and the Cubs play. But the games don’t start until past 8 o’clock. And it’s a school night. 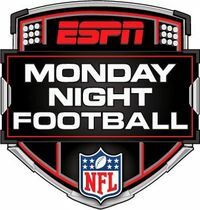 And tomorrow night is a big, big, big Monday Night Football game. My Philadelphia Eagles play a virtual “must win” game tomorrow at home in South Philly at “The Link” (Lincoln Financial Field) and I will have to take a nap at work if I’m going to be able to stay up and watch the whole game. If we win and defeat the New York “Football” Giants, we’ll be tied with them at 3-3 at the top of the Division. Yeah, I know — 3-3 ‘aint great, but it beats being 2-4. So let’s enjoy the fall, football weather and the cool, crisp days and the bright, sunny rays and the crescent, harvest moons and the cold, frosty nights and the turning, falling leaves and the smorgasbord of football, baseball, basketball and hockey games to choose from. If only the entire year could be as exciting and as inviting as October. Spiritually speaking, seasons and times and conditions change. Nothing is static, in sports or in life. And that’s one of the lessons sports teaches us. Don’t get complacent with the lead (just ask Michigan) and don’t think that because you’re in first place in April that you’ll end up in first place in September (just ask the Washington Nationals). And don’t get down if you’re struggling now. Things change. So we all have to change and prepare and plan and make ready for what comes next. Because what comes next is better than what has been.